Learn how to manage aquatic ecosystems to reduce human impact. Aquatic Ecology and Management is a large topic spanning swamps, lakes, rivers and estuaries. It incorporates many disciplines, including botany, geography, chemistry, geology, hydrology, zoology, physics. Important issues include drought, water resource management, aquatic habitat destruction, and threatened species protection. Students will acquire the skills needed to understand and manage aquatic ecosystems. They will learn how to reduce our impacts on our wetlands, rivers and estuaries. Why Study Aquatic Ecology at UNE? Our location in the North Coast region of NSW means we have a wide diversity of aquatic systems at our doorstep. Upland swamps, cobble streams and huge waterfalls in pristine National Parks lead to populated lowland rivers and estuaries in one of Australia's fastest developing regions. Heading west we find the expanse of the Murray-Darling Basin, and its regulated lowland rivers and semi-arid climate. Students wishing to specialise in this area are offered units in Aquatic Ecology, Freshwater Ecology and Management, Hydrology, Ecosystem Rehabilitation, and Pollution Management. 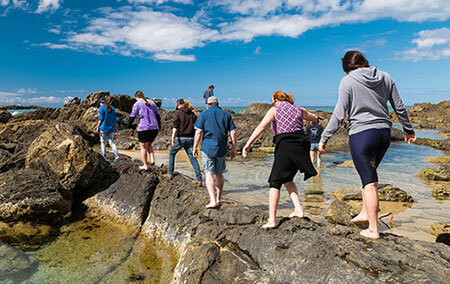 Postgraduate students can take advantage of our breadth of research expertise of staff, strategic location in northern NSW and extensive range of field and laboratory facilities. and agricultural development place unprecedented demands on water supplies. Our graduates have taken positions in catchment management authorities, state and federal government management agencies, consultancies and industry, and research organisations. Much of our research is in partnership with agencies, businesses and community groups. We have completed projects with the Australian Research Council, Commonwealth Environmental Water Office, Murray Darling Basin Authority, Cotton Research & Development Corporation, numerous Local Land Services regions in NSW, and state agencies such as the NSW Office of Water, NSW Office of Environment & Heritage, and the Department of Primary Industries. 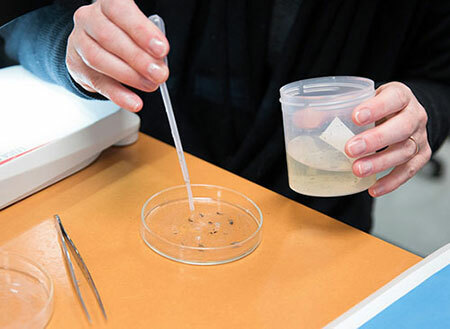 Our on-campus facilities include established laboratories for environmental and analytical chemistry, aquatic microbiology, the ecology and taxonomy of algal, macroinvertebrate and fish communities, and an experimental fishway and flume. Students can access specialist field gear including benthic metabolism chambers and water quality sensors, underwater spectrometry, and piscatorial sampling equipment. For information on our research activities, please visit the pages of the Aquatic Ecology and Restoration Research Group.